Some people have funny ideas about home security. Certain homeowners, for example, boast about preventing burglaries with nothing more than a large Beware of the Doberman sign. Others park a pair of muddy size 14 boots outside the front door as a crime deterrent. Some will tell you to entrust your security to a fake security cameras—an empty camera body designed to mimic a video monitoring solution. When a burglar spots your dummy camera—complete with blinking, battery-powered red light if you spring for the high-end $20 model—they'll quickly beat a retreat… or so the story goes. It's a home security urban legend with a grain of truth. A novice burglar might just be fooled, although experienced crooks can quickly spot a fake. When this cheap trick fails, though, what's left to protect your home? After all, there's a whole lot that a fake camera can't do. Take this everyday scenario: While you're at work, someone walks up to your front porch. Here's how it might go with a real camera, and with a fake one. Real camera: With a true security camera, powered by Alarm.com, you'll be notified. The visitor's motion triggers your camera to record a clip, and Alarm.com sends you a smartphone alert. 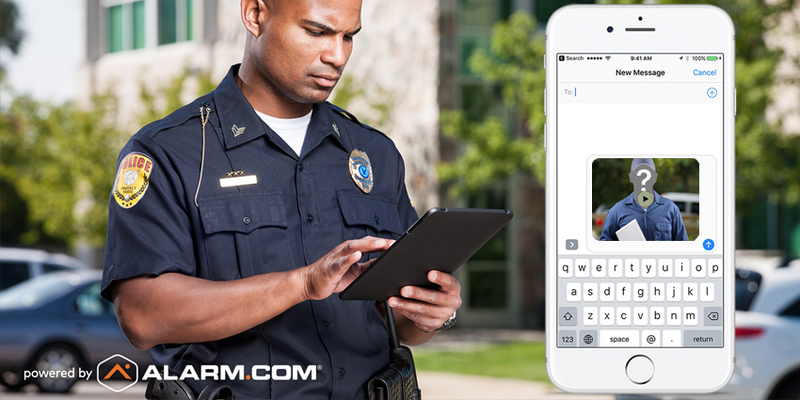 On opening the alert, you can pull up a live feed from your camera on your Alarm.com app and see what's happening. Now, you can take action. You can call your spouse if they're home and let them know. You can zoom in on the video feed for a better look at the visitor's face. If your camera is a doorbell camera, you can address them directly through the camera's speaker and ask them: hey, what's up? If it's someone you're expecting, you can unlock your door for them. Fake camera: With a fake camera, none of the above applies. Let's say that your suspicious visitor really is up to no good. In fact, they're a package thief, and they make off with a parcel you just had delivered to your porch. Real camera: We're sorry about your missing package. Your Alarm.com-powered camera supplies a silver lining for you and your neighbors: a clear video clip of the thief in action. It's easy to download to your phone and email it to your local police department or newspaper. You can even post it directly to Facebook to share with your neighborhood groups. Your video clip can quickly become a crime-fighting asset that gives police the breakthrough they need to recognize and catch the thief. PS: your Alarm.com service provider has a great solution to package theft. Fake camera: You'll still realize your package went missing—after a couple of days, at least. Let's look at the worst-case scenario. Your suspicious visitor is a daytime burglar intent on forcing your front door open, camera or no. Real camera: This burglar quickly discovers that your camera is connected to your smart security system. 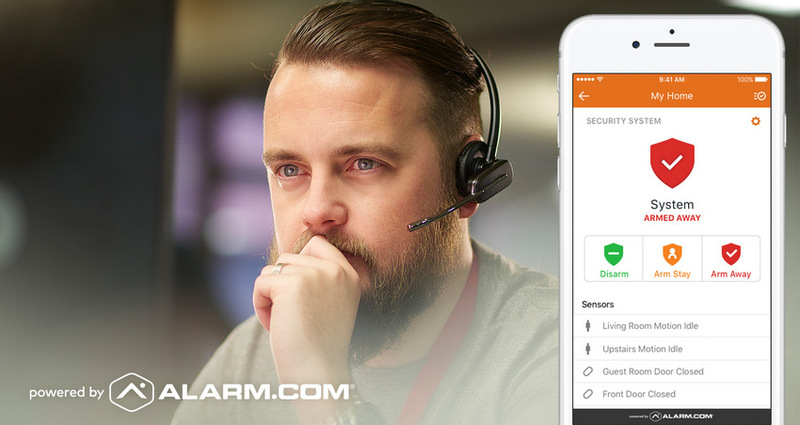 As well as recording them, your Alarm.com technology is simultaneously sounding a loud alarm, sending alarm notifications to you and your family, and delivering an emergency signal to a security professional at a 24-hour monitoring station. Fake camera: You're going to have a terrible surprise when you get home. 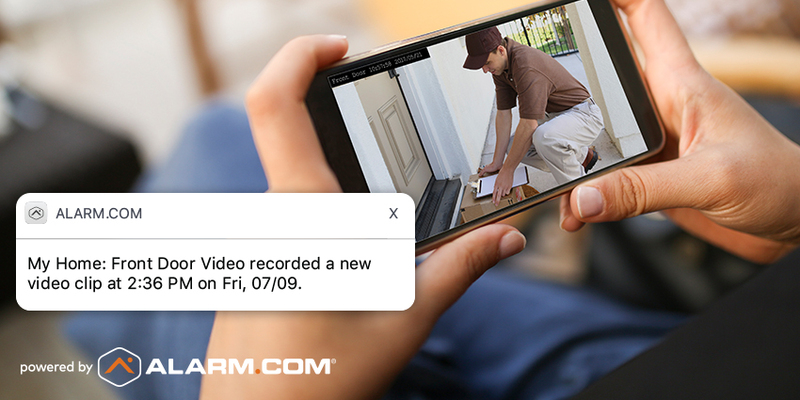 Not everything that happens on your porch is an attempted burglary. On any given day, you're far more likely to have a package delivered, to have a neighbor visit, or to have your kids arrive home from school. Being able to see what's going on makes everything easier and reduces everyday worries. 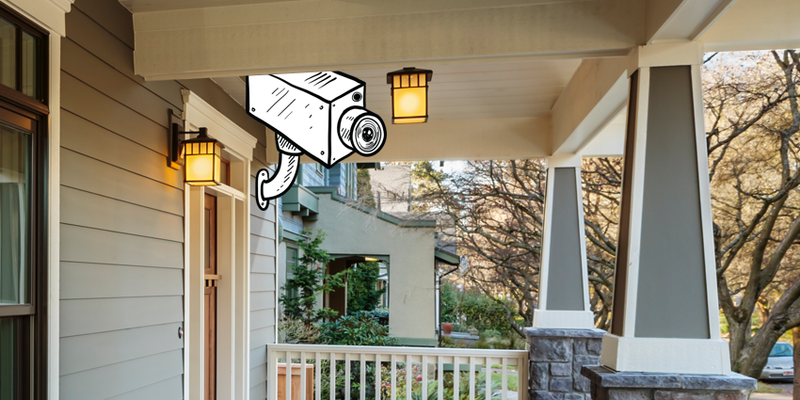 This is how millions of Alarm.com-powered cameras are used every day, and it's what many users love most about their smart security systems. With a fake camera, you don't get any of this. Ready to keep it real? 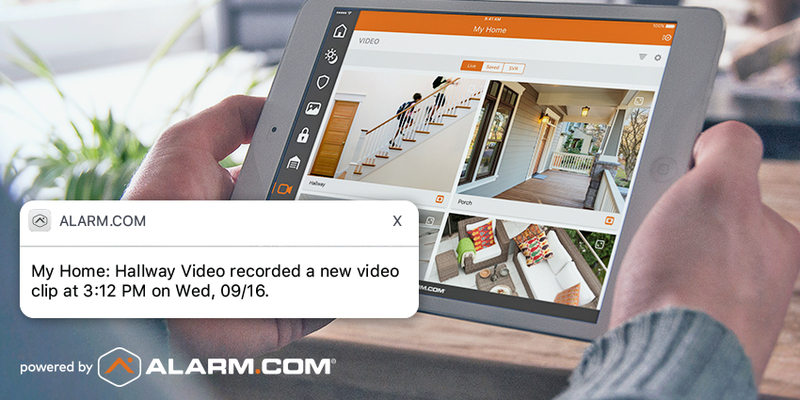 Alarm.com-powered security cameras come installed as part of a smart home security system that makes your home safer, smarter and more convenient. To find out more, click here. To connect with an Alarm.com service provider today, enter your ZIP code in the box below.